Happy Labor Day Weekend to my US and Canada friends! We originally planned to host a shindig, but changed our tired minds and opted that after tonight’s luau at a friends’ house to stay low key, watch some football (GO DAWGS! ), grill some chicken, and unofficially send off summer in a more relaxed fashion. I’ve really enjoyed summer this year and am looking forward to a fabulous fall as well. We have a lot of fun ahead of us in September, like Hailey turning six (hold me) and the return of fall-scented candles (I blame our highs in the 70’s lately for all the fall feels). But before I get ahead of myself, here are some things I’ve been loving lately in August! 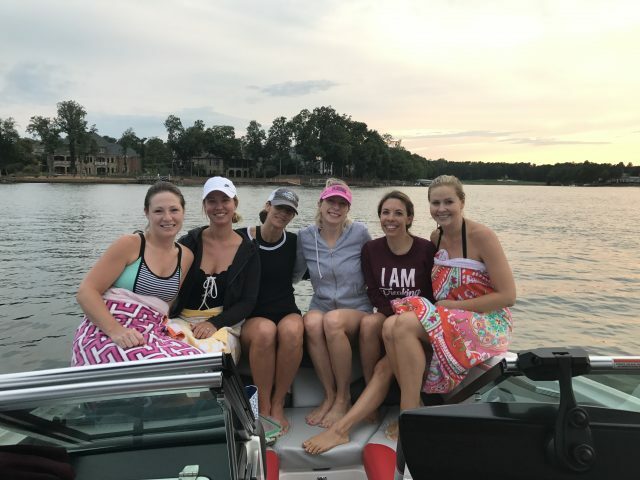 I love tapas and wine, but when friend organized a GNO on Lake Norman, complete with wake-surfing instructors, I found a new appreciation for activity-based friend time. We had a ball cheering each other on and laughing at our tumbles and falls. The two Amys rocked it and looked like pros as they hopped right up on the board and dropped the rope with ease. The rest of us? We managed varying degrees of success. But all of us had an incredible time. Now we’ve tossed out the idea of rock climbing, escape rooms, or a shooting range… followed by a glass of wine. Now that’s my kind of combo! I’m officially hooked on ThriftBooks. The deals are unreal! I’ve snagged our first two months of BraveWriter (The Wand) books and most of the titles listed on my kindergarten homeschool library wish list for a mere fraction of retail. Oh and that Oh She Glows cookbook? I plan on diving into it and working some new plant-based meals into our weekly meal plans this fall. I have been referencing my archive of healthy dinner ideas and trying some new recipes in preparation for a fierce return to meal planning (after a lax summer). 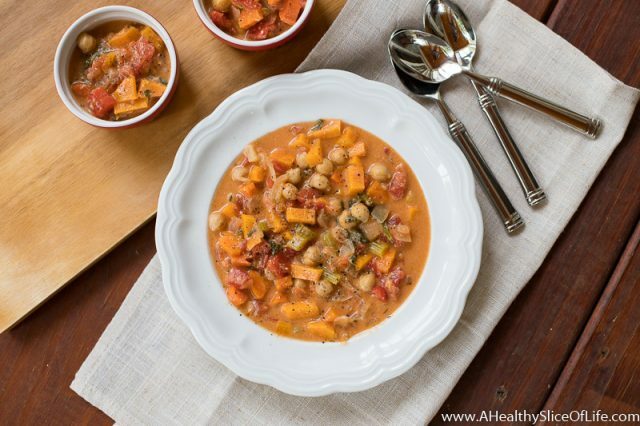 I tried Angela’s 10-Spice Vegetable soup for lunches this week, and no surprise, it’s a keeper! Kaitlyn helped me make it, from chopping to blending the cashews to stirring, and excitedly ate a bowl for lunch (usually not a food that would be her favorite) because she was so proud. I’m looking forward to getting the girls in the kitchen with me more as the weather starts to cool too. I think it’s a safe time to report back that early morning workouts are officially a thing for me now. I’ve been setting my alarm (actually the bedtime feature on the iphone) for 4:42 AM. I literally roll out of bed, throw on my gear, and am at Burn, semi-awake, ready for the 5:00 AM class. It’s the only Burn class that is 30 minutes long and I was thrilled that yes, it still feels like a great workout. I’m usually asleep by 9:30 PM, but here’s the thing I’m loving about working out in the early morning: NOTHING GETS IN THE WAY! I’m not rushing kids, I’m not weighing a library trip against a sweat session. I’ve checked the box and showered by 6:00 AM which means I actually look somewhat put together for the day ahead. Gosh we’re at fun ages right now. Sure there are some sibling squabbles here and there (usually dealing with who is getting more perceived attention; how do you moms of more than two do it?! ), but for the most part, we have had a lot of fun spending our days together. In an effort to switch things up we went into Charlotte to South Park Mall. The girls darted, wide-eyed, around the American Girl store and we all loved playing dress up in the changing rooms. As for the girls, I’ve put myself on a spending freeze. I’ve been sucked into the world of Eleanor Rose (below) and Matilda Jane (especially when I’ve been able to find it on Zulily). I’m waiting for a bag I sent to ThredUp to process (takes such a long time) and then I’ll fill out Hailey’s closet with that credit. 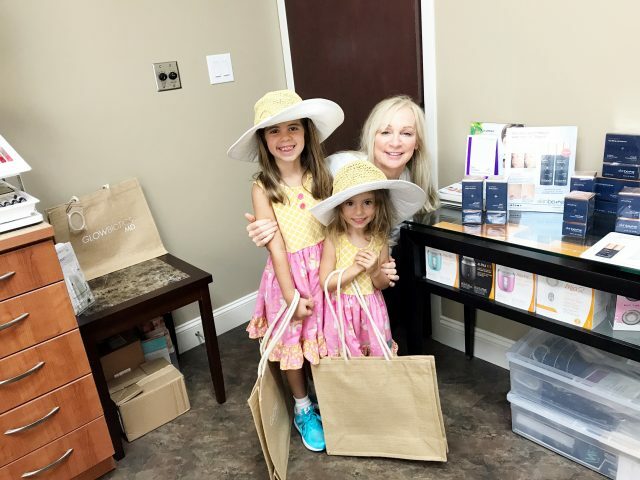 The girls in Eleanor Rose dresses with Terri, my skin guru, who decked them out with samples, including lipstick! Now I just need to go find me a cotton field! Or Hobby Lobby. 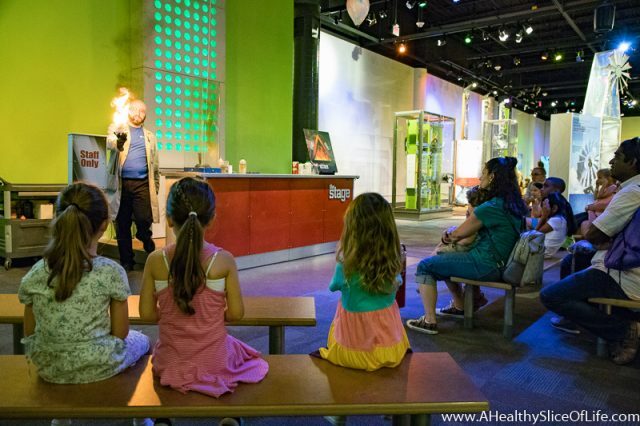 Hailey will be doing the homeschool science classes at Discovery Place starting in October, which will give us a great excuse to visit more often. We really love this place! Yesterday I took the girls and one of their friends to the media tour of a new initiative, The Year of the Engineer. Only I found out upon arrival that the event was last week. Oops. The kids didn’t seem to mind and we spent 4 hours running around, watching science shows (which were incredible and the kids LOVED them! ), and enjoying everything the museum has to offer. Hurricane Harvey Relief Update & Good News: Megan has some great insider info and tips for donations that will help the most. Mixed Messages to Millennial Moms: But seriously! I lol’ed at this. What to Do When Your Friend Loses a Baby: So helpful but praying none of us ever need this information. 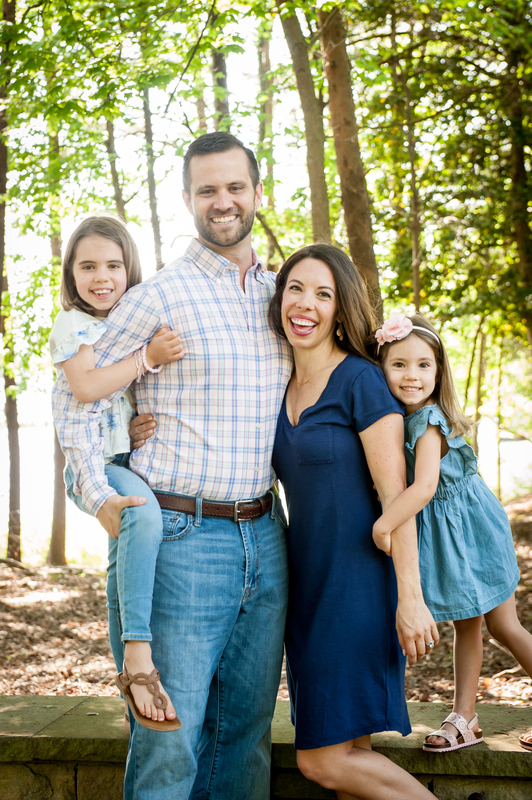 Living in Charlotte: The Good, Some Considerations, & Additional Resources: I enjoyed Jen’s insight into Charlotte and since I get so many emails asking about it too, it’s great resource to share! Our 6 Year Old Has a Fun, Comfortable Life; Why Isn’t She Grateful? : Yes yes yes, something that was a good reminder to me. I’ll Bloom Soon, Dammit: We all have ups and downs and Katie always seems to verbalize both so well. Easy Crockpot Lemon Thyme Chicken: Sounds like a good one to test out for my fall food list! Cucumber Dill Rotisserie Chicken Salad: I’m getting back into Sunday food prep and this would make delicious lunches for the week. Eggroll in a Bowl: Have you guys made this? I’ve heard so many people rave about. Cheater’s Power Salad: With fall’s full weeks comes the need to cheat every now and then! I hope you all are gearing up (or down?) for a fun weekend! Hailey has a countdown on to the first day of kindergarten and we are starting on TUESDAY. I can’t wait to report back with how it all goes, but until then, it’s time to cruise into weekend mode. Is your family transitioning into a new schedule right now too? Still summer here! Boat, swimming, tubing are on the agenda with son and a g-kid visiting. Enjoy Labor Day and “GO DAWGS”! So cool you tried wake surfing. I used to love it when my family still had our wake boarding boat. 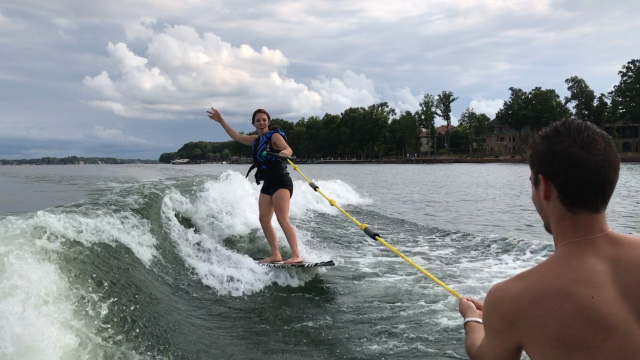 It was so fun and relaxing compared to wake boarding, I thought. Also all your ideas for girls night out sounds awesome!! Your morning workout explanation is exactly why I wake up early, too…quiet, guaranteed me time. Priceless!! Oh Labor Day Weekend… practically the end of summer! We’re going to hit up the Ren Fest as a family and then I’m going to take the kids to the Splash Pad before they close it down for the season and then I think we’ll take it easy and hang out. We finally started getting to the gym and figuring out a schedule that works for us. I may just have to try the morning workout after hearing that it’s been working for you. I’ll probably moan and groan for the first week, but If I can get in 30 minutes every morning – even just in my living room – I think that will make a big difference since often it’s just so easy to lose that momentum in the evening. Heather recently posted..The Zoo! Again! Yes to the momentum thing. If I don’t work out by 10am, I know it’s not going to happen. I have no idea how I used to work out in the afternoons because now I’m wiped by then! So even though early morning sounds impressive, it’s just necessary 🙂 Good luck with finding what works best for you! How amazing that Hailey can take science classes! I feel like there are so many great opportunities for homeschoolers these days. 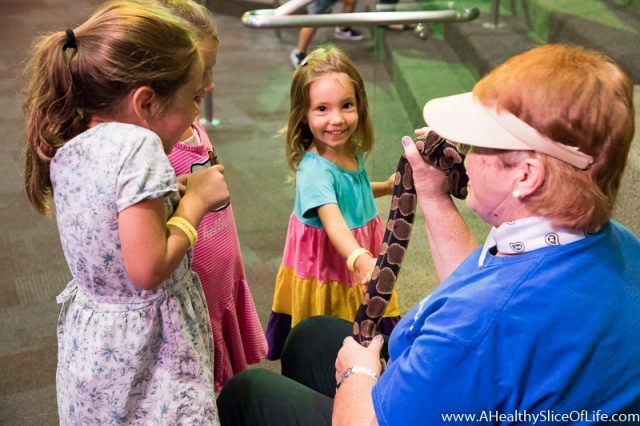 My background is in science, and one of my future goals, if we continue homeschooling, is to start something similar for homeschooled children in our area. I am so not ready for Fall, but it is starting to feel like it over here. Last year it was still really hot at the beginning of September (and I had just given birth and was so, so hot and thirsty), but not this year. But, my husband is taking a 4 day weekend and my Mom is in town, so we are having a birthday party for my youngest on Sunday. Unfortunately, it’s supposed to rain, but I am going to mix up one last batch of Sangria anyways to bid farewell to summer and celebrate my little one’s first birthday! Yes, I am super psyched about the homeschool classes. We’ve tried one and she really enjoyed it. Also, sangria sounds like the perfect way to celebrate a birthday and the send off to summer! Cheers! I love the OSH ED cookbook, I’ve been using it almost every week lately. I haven’t tried that soup yet though, adding it to the list! Everything is so good, but I especially love the matcha mango smoothie and the Thai crunch salad! Fun to see you wake boarding and all the fun the girls are having at the Discovery Center. Hope you bought the off shoulder ruffled dress–you wore it well! And I do agree with you with the early workouts–no one calls, emails, or texts you at that time of day. You are an inspiration! I look forward to trying the vegetable soup. I always enjoy reading the links you post! I admire your (VERY) early wake-up/ exercise routine! That is not for me, but I have been managing to hit up the 4:30 (pm) pilates or barre or yoga class about twice a week since school started (utilizing the free daycare). It works best if I start up the crock pot before leaving for work in the mornings (finally got one with a timer!). It means we are gone 11 hours out of the day, but usually the boys are happy to play a bit more in a new environment after “school”. If they seem tired or just not into it we head home instead. Dinner is around 6 then usually we head to the park from 7- 7:30 to get that last bit of energy out (from my boys… not from me because I could honestly collapse by then after teaching all day!). Anyhow, school started a month ago for us so I already feel like I am in the thick of it! A welcome 3-day weekend is ahead spending time in the mountains. 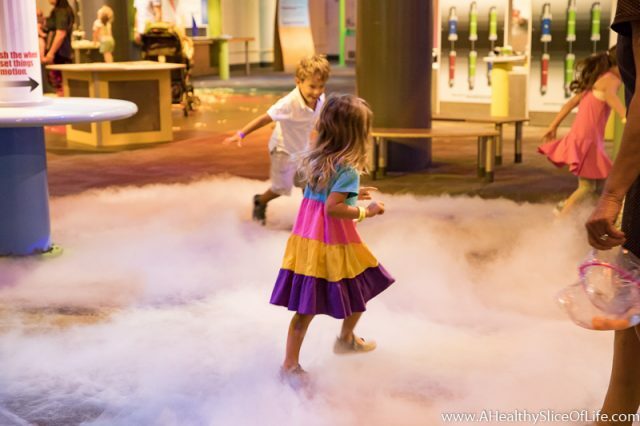 Love the children’s science museums! My city is in desperate need of one! Spending the 3 day weekend in the mountains sounds lovely; my happy place! I’m sure you’re ready for a breather after being a month into school. Enjoy! This post is why your blog is my fav. Thank you! And – OMG – thank you so much for the post on 6 year old gratefulness. I am going to read this every day for at least a month. It could not have arrived at a better time for me and my family! Thanks. Have a great weekend! Here’s to low-key. The millennial Mom link is hilarious! I giggled at most of them. I’m excited about adding some fun farmhouse fall decor to our house this year. 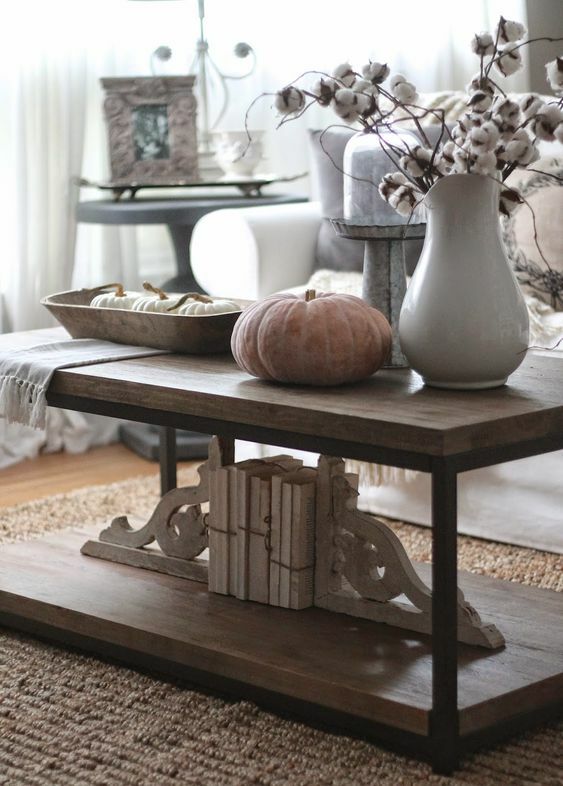 I love the idea of the cotton in the white vase! I also want to add some neutral pumpkins. Fall really is the best! 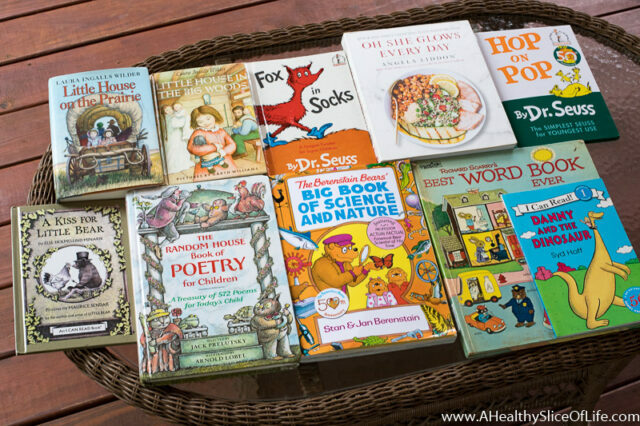 I just bought books off of Thrift books for the first time per your recommendation here and I am hooked! Thank you! Yay!! I am addicted too! I just am in awe of the deals I can find!